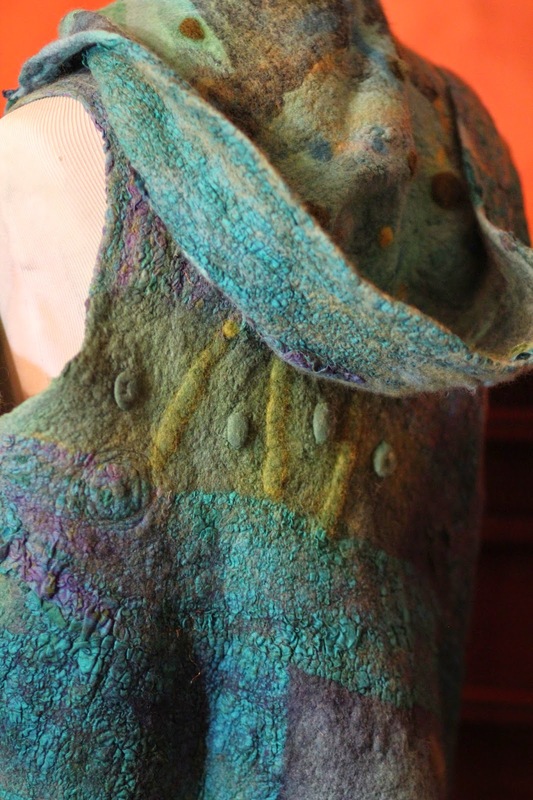 This nuno felted seamless vest hoodie is reversible. 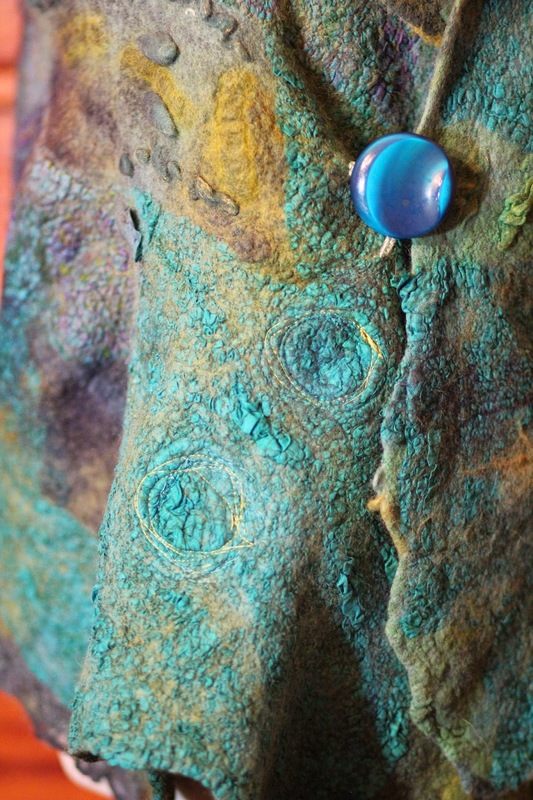 It's reminiscent of the sea with the greens and blues and is perfect for transitioning from winter drabs to spring colors. 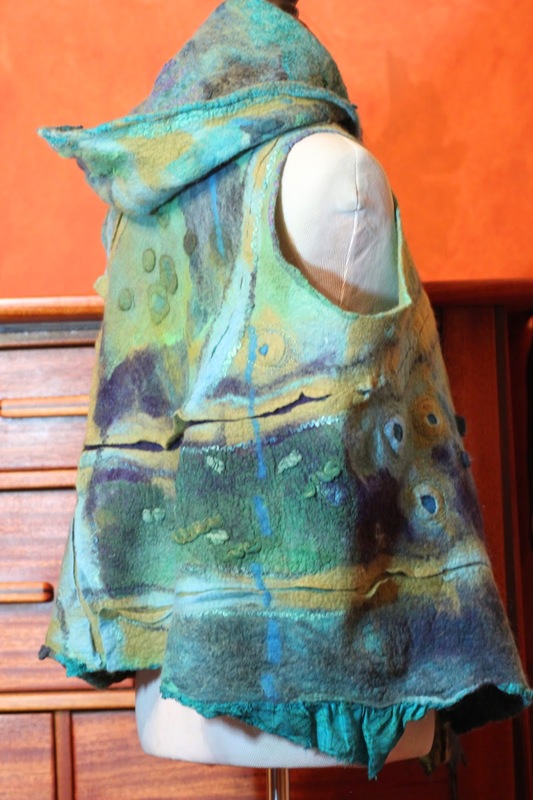 I used acid dyes and the microwave dyeing technique to dye white silk gauze, some yarn, cocoons and tussah silk. 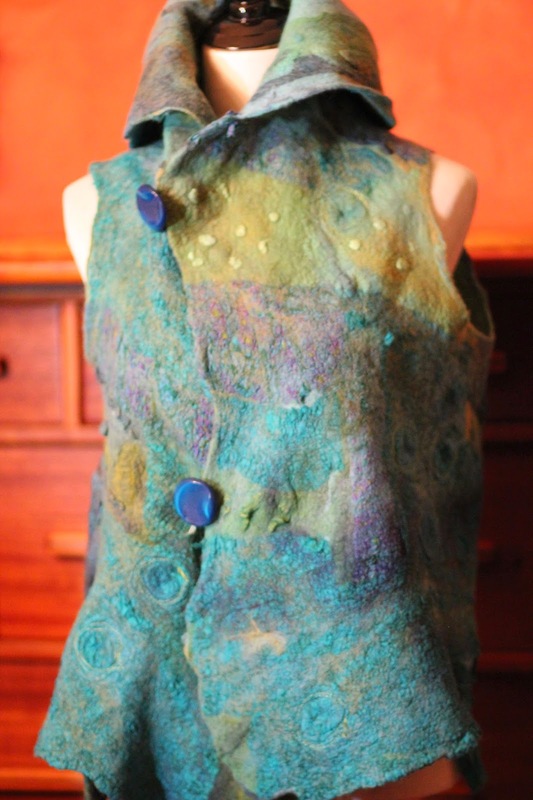 These silks were used on one side of the vest and a vintage sari on the reverse side. 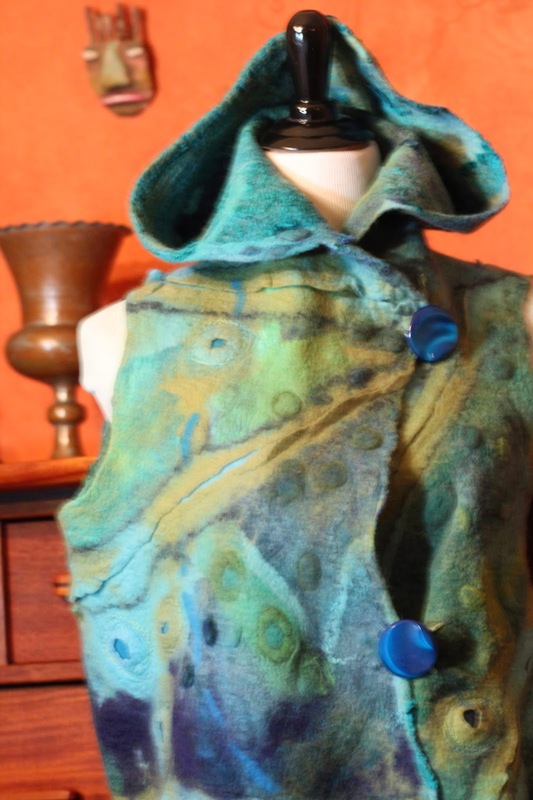 Merino roving was sandwiched between the two silk layers to make this nuno felted hoodie vest with lots of surface design. In my stash, I pulled out two of my very favorite buttons that I bought years ago at the Paris flea market. 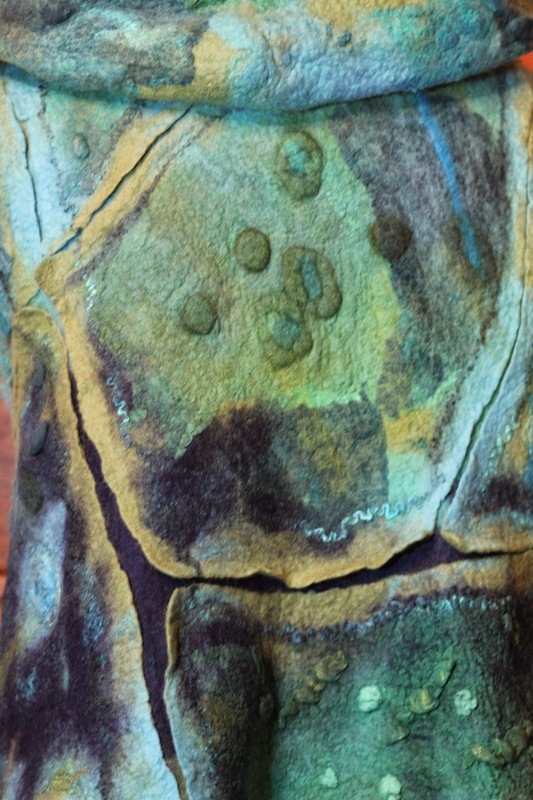 I sewed them on the center front of the vest and made hand made threaded button holes on both sides of the vest. 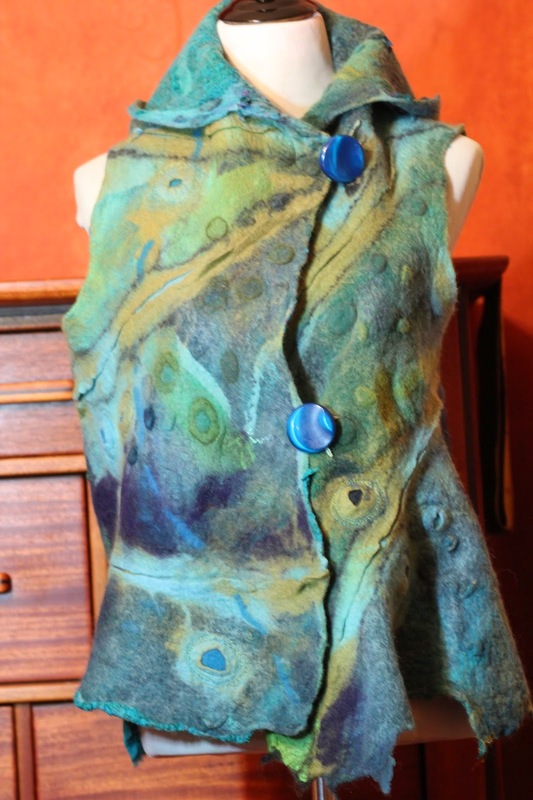 Free motion sewing was used to embellish the felted craters.